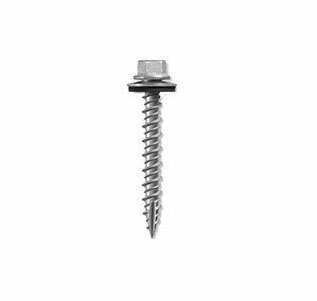 PRODUCT: #10-15 X 3" HEX WASHER HEAD WOODGRIP METAL-TO-WOOD SCREW WITH BOND SEAL WASHER. TYPE-17 SHARP POINT, HI-LOW WOODGRIP, BOND SEAL, ZINC FINISH. 250/BAG. PRICE/BAG. • High Hex Washer Head provides driving stability and a sharp point for quick installation. for very long term corrosion protection.